My Task: Conduct an in-person usability study of thepertureproject.org. The goal for this usability study was to find out how can The Aperture Project (TAP) gain visibility in the community of Portland. TAP is a non-profit that connects children through photography and writing, broadening their world view while promoting tolerance and understanding. With the executive director's permission, I was able to email 151 people using their subscriber list to send out an email survey. I than contacted parents and volunteers who are familiar with TAP's mission and conducted a phone screener and selected five users who fit our criteria for our usability test. Result: Through the email survey and the in-person usability test, three major discoveries happened. 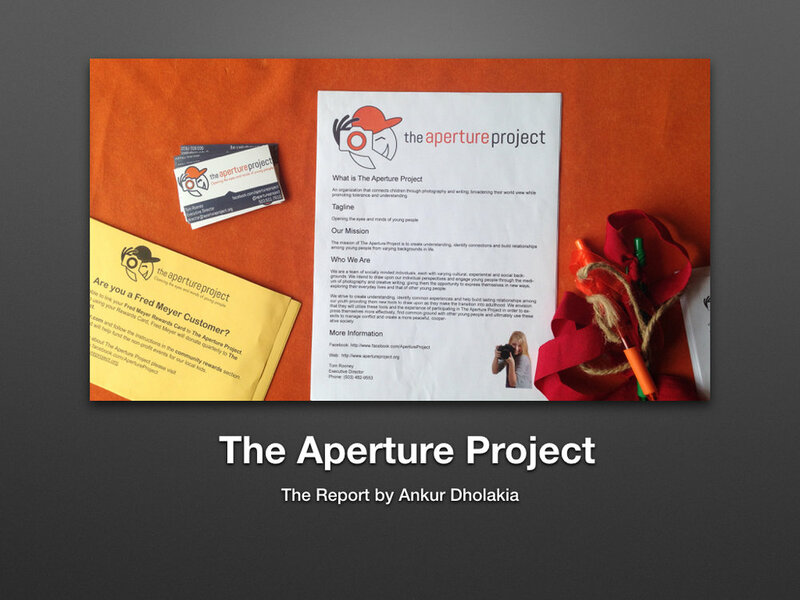 The Aperture Project needs to advertise in parent-oriented blogs/publications. To generate revenue, TAP needs to establish more programs that benefit the children.